On this snowy winter's morning, Tyler is taking a few hours off work for the express purpose of going on a homestead-related field trip. He and I take to the road, picking up our friend and neighbor, Charlie, on the way out of town. 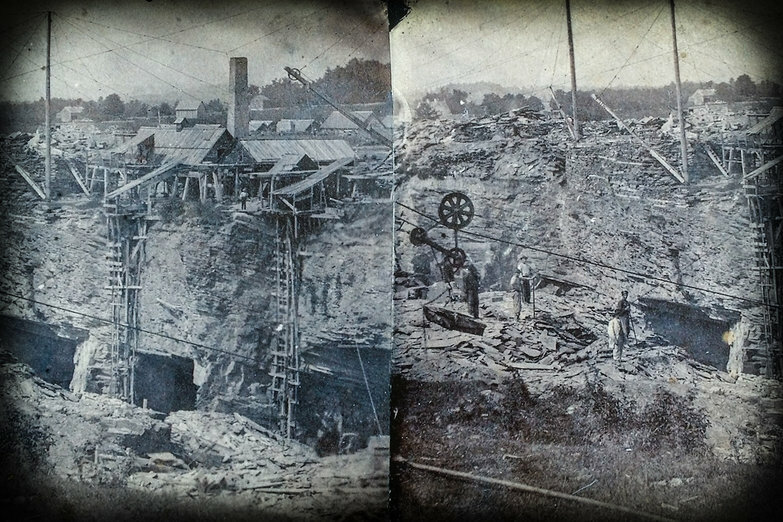 Together, the three of us drive an hour to Poultney, Vermont, to visit the New England Slate Company. It's a lovely ride, winding through the Mettowee valley, past postcard-perfect villages under a fresh blanket of snow. Though it is anything but springlike outside, Tyler and I are already preparing for warm weather and the round of homesteading projects that will accompany it. First on the list? Finishing our cottage roof. While I am of the mindset that we should just "screw it and hire a company to do it," it's really important to Tyler that he does the slate roof himself. So, here we are, with the intention of learning more and picking out slate. 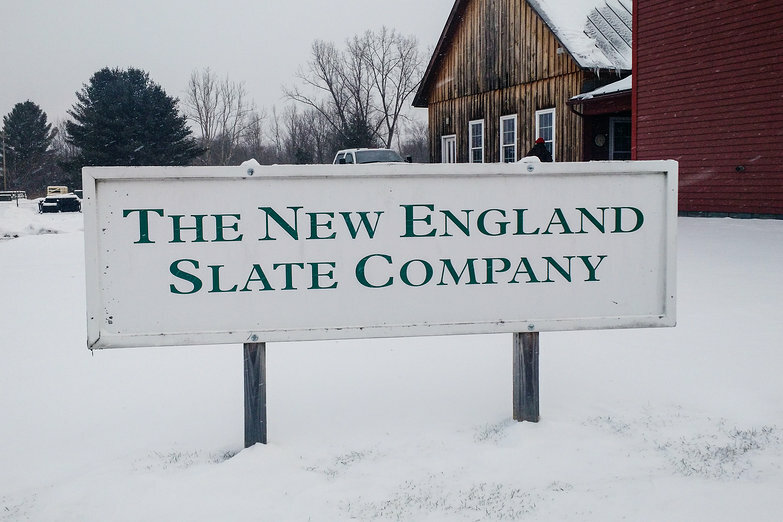 As it turns out, a random weekday on a snowy January morning is the perfect time to visit the Slate Company. We have the place, and the extraordinarily kind and friendly staff, all to ourselves. First we meet Nan, a very sweet and knowledgable woman, who treats us to a tour of the building. It's warm and well-built, with a wood boiler, a gorgeous, massive wooden table, and of course, samples of the types of slate they carry. Tyler and I quickly agree: we prefer Vermont Black, or Strata Grey. 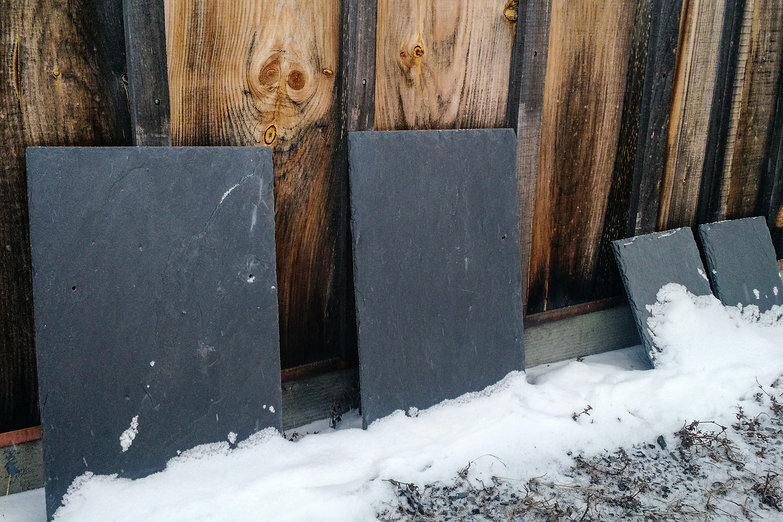 Each color of slate is slightly different, and they weather slightly differently, too. 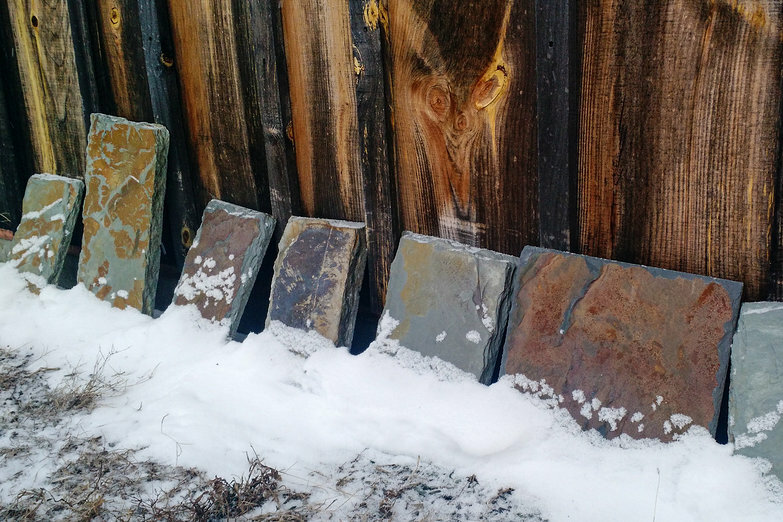 I find it amazing that there are so many different patterns and colors present in the slate, almost all of which is quarried right down the road! I'm so glad we decided to go with a slate instead of trying to thatch our roof. 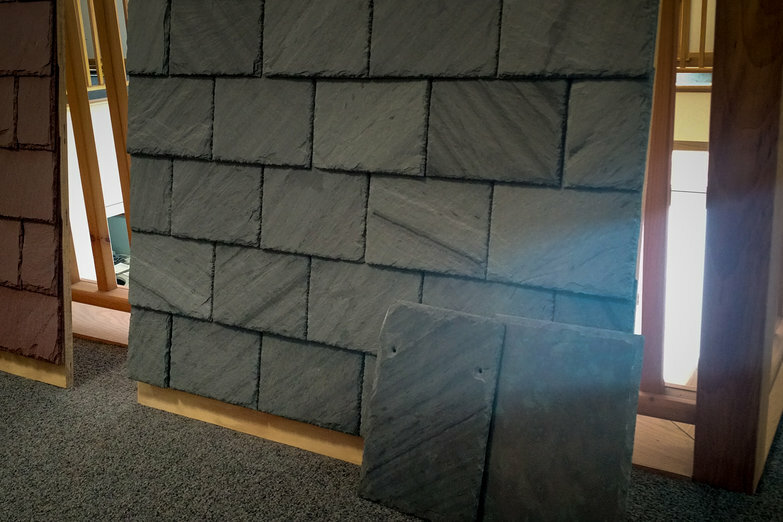 Slate makes sense for so many reasons—not only is it gorgeous and long-lived, it has been the most local roofing product around for generations. 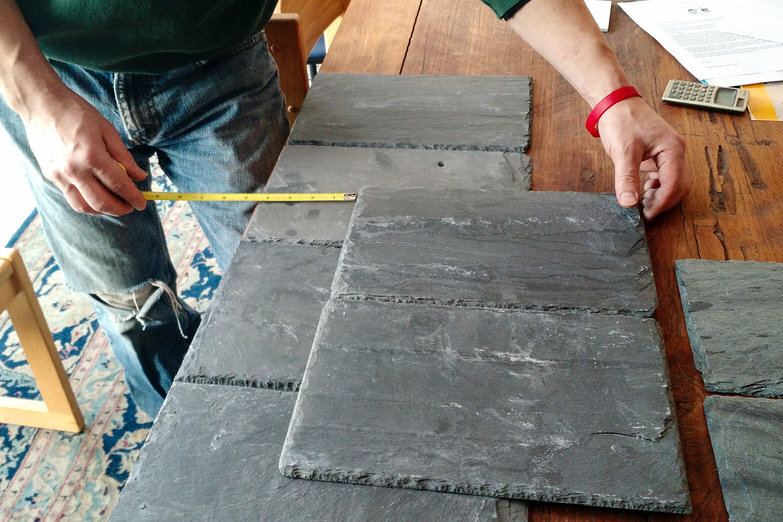 By the time our tour is over, I'm actually excited about our springtime slating project. It will be a HUGE undertaking, but I know it will be worth it. Now, we get down to business discussing the nitty gritty details, including what size slates we want, and how we want them oriented. A very kind man named Clay helps us by arranging them in different layouts, until we find the one we like best. Now, we just need to place our order, do a ton more reading, and wait for spring. Thank you Nan, Chris, and Clay for being so welcoming and kind, generous and knowledgeable. 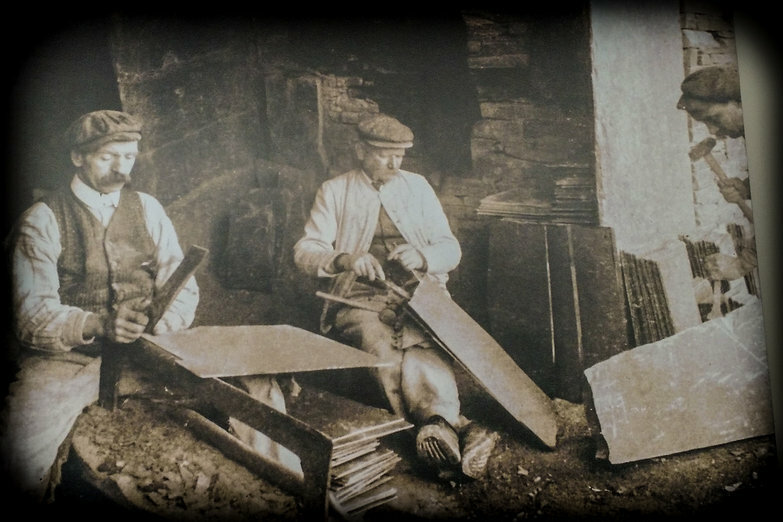 We can't wait to visit the quarry and see for ourselves where our roofing slate comes from! Your roof is going to look awesome! I love stone as a building material in pretty much any form and application. P.S. Hopefully, you are not stopping the journal? ?